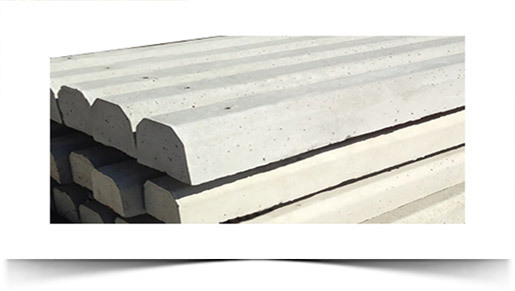 NuCast is Your Industry-Leading Manufacturer of High-Quality Porch Steps, Parking Bumpers, and Many Other Precast Concrete Products! IF YOU ARE A BUILDER, CONTRACTOR, HOMEOWNER, OR OTHERWISE RETAIL CUSTOMER AND ARE INTERESTED IN PURCHASING OUR STEPS, RISERS, OR STEP TREADS, PLEASE CLICK HERE TO FIND A DEALER IN YOUR AREA. 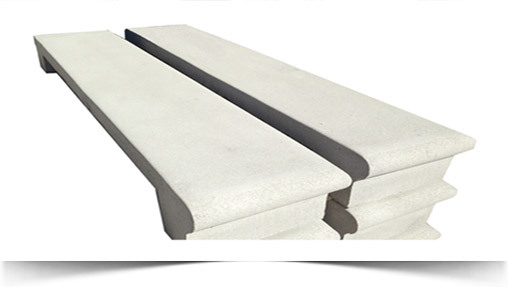 For over 40 years, NuCast has been manufacturing premium-quality precast concrete steps. Our classic-corner step is our most popular step, and many of the residences around the Metro Detroit area feature this style of step. Need to complete a step project? 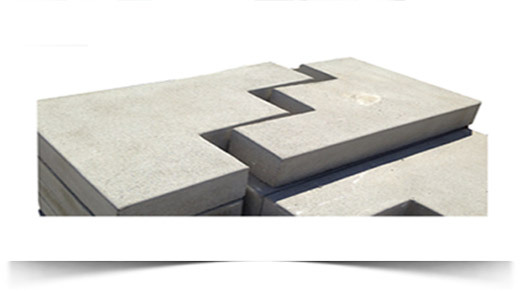 NuCast's precast concrete risers are made to fit our steps in 2-Hi, 3-Hi, 4-Hi, 5-Hi, and 6-Hi configurations. 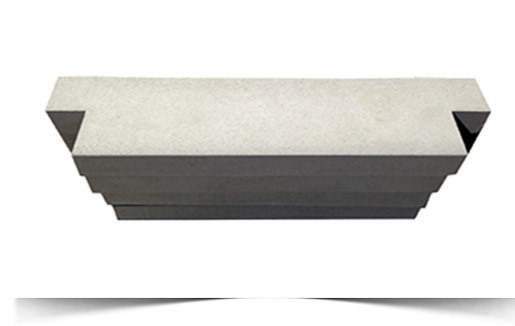 NuCast's precast concrete parking bumpers are wet-cast for superior durability and wear. Our bumpers provide organization and structure for your lot and help keep it safe. 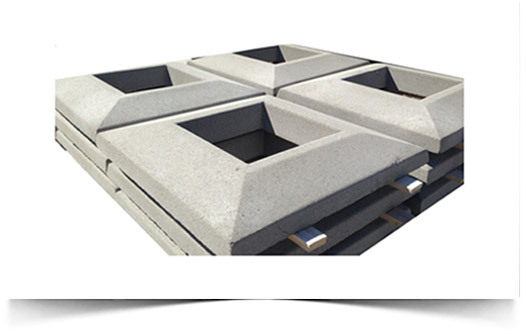 Flat Coping can be used on top of walls to leave a clean finished look to your structure. 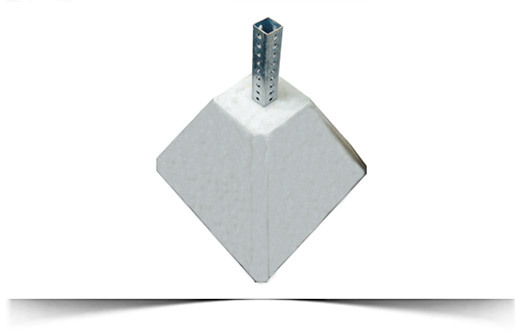 Pyramid coping can be used on top of walls to leave a clean finished look to your structure. Refresh the look of your home, building, or structure by complementing the doors and windows with NuCast's precast concrete door sills and window sills. Stay dry! Keep water away from the foundation of your home or building. 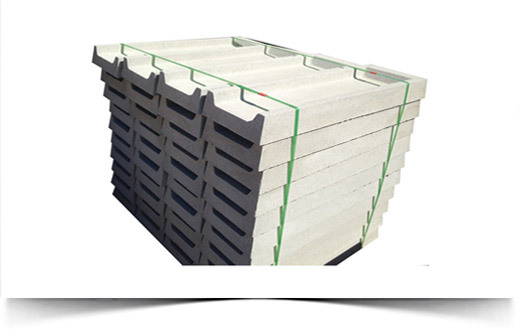 NuCast's precast concrete splash blocks are durable products designed to get the job done. Prevent fires, help keep water out, and maintain the safety of your home or building with NuCast's precast concrete chimney caps. Do you need a way to display signs in your parking lot or at your facility? 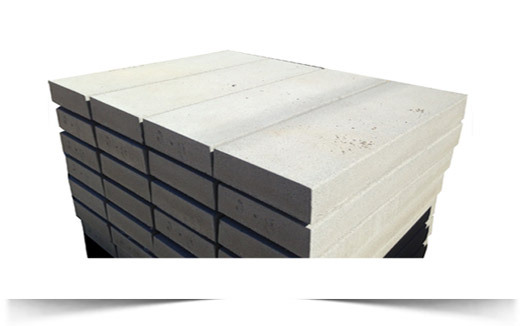 NuCast's precast concrete sign bases are your answer! With over 100 years of combined experience and expertise, we pride ourselves on manufacturing and providing the best products for our customers. NuCast's steps, risers, bumpers, coping, and more will enhance your home, place of business, parking lot, and other structures. Our products are made with environmentally-friendly materials, easy to install, and durable. We recommend using a high-quality and silicone-based sealant on all of our products to maintain quality and durability. Contact us for more information! 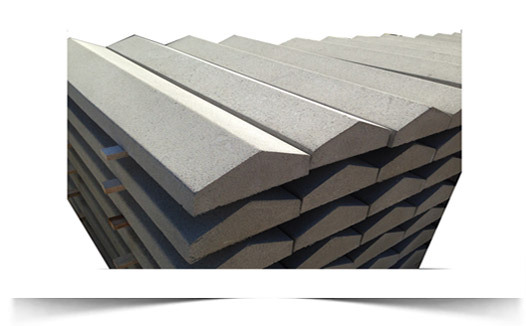 NuCast warrants to the original owner that NuCast products will remain free from defects in materials and workmanship for 1 year from the date of original purchase, provided the defects do not arise from other than normal and ordinary use of the product. Damage to the product from mishandling and/or application of de-icing agents is not covered by this warranty. A high-quality and properly-applied silicone sealant may extend the life of NuCast products. NUCAST MAKES NO CLAIMS AS TO THE MERCHANTABILITY OF ITS PRODUCTS FOR ANY PARTICULAR USE AND IS NOT TO BE HELD LIABLE FOR ANY MISHAP ARISING OUT OF THE USE OF ITS PRODUCT FOR ANY REASON, INCLUDING ANY CONSEQUENTIAL DAMAGES. This warranty covers only the repair or replacement of NuCast products due to defects in materials and workmanship. NO OTHER WARRANTY OF REPRESENTATION, EXPRESS OR IMPLIED, IS MADE EXCEPT AS PROVIDED HEREIN. © Copyright 2017: NuCast All Rights Reserved.